After the most energetic game of ‘ping –pong’ of all Bills in the parliamentary session that has just ended, the Housing and Planning Act is finally on statute book with a number of changes from the original Bill. PAC’s housing clients have led the way in achieving some of these concessions. Many were concerned that the Government’s flagship policy to extend the Right to Buy to Housing Association tenants, paid for by the sell-off of high value council homes, would deprive local authorities of much needed homes. From the outset, the National Federation of ALMOs representing around half a million council homes met with DCLG officials, lobbied MPs and Peers and supported amendments to ensure that the Government would deliver one new ‘affordable’ home for each sold to fund Right to Buy. The Government conceded an amendment incorporating this change during the Bill’s passage in the Lords. With the Government proposing that those in social housing on high incomes should pay the full market rent on their properties, the National Federation of ALMOs raised concerns that ALMOs would not be able to access the relevant information from HM Revenue and Customs to enable them to properly enforce the policy. Via an amendment to the Bill, the Minister in the House of Lords, Baroness Williams, put on record the Government’s assurance that ALMOs could access the information needed from HMRC. The Residential Landlords Association (RLA) called in its manifesto for the 2015 General Election for action to enable tenants to identify their landlords on council tax registration forms. This is the RLA’s proposal as a more effective way for local authorities to identify landlords than through costly licensing or registration schemes. The RLA worked with Dame Angela Watkinson MP on a Private Members Bill to incorporate this change which she proposed as an amendment to the Bill, along with Lord Flight in the House of Lords. After gaining momentum and support, the Government agreed to establish a working group, chaired by Dame Angela, to look at the proposal. Every tenant moving into rented housing, and those who may have paid the deposit such as parents, are duty bound to be provided with hard copies of information about the scheme where their deposit is saved. With many landlords in Houses of Multiple Occupation often having to print reams of paper, the RLA worked with Peers to suggest that the Act would allow landlords to provide this information electronically where the tenant agreed. Responding to the proposal, Baroness Williams confirmed that officials will look at preparing regulations to enable this to happen. With the difficulty of saving for a deposit whilst paying rent preventing many aspiring home owners from getting on the property ladder, Rentplus has been working hard to raise the profile of affordable rent to buy as an innovative solution. Affordable rent to buy homes are built with private funding and let at a typical 20% discount to the market rent enabling tenants to save for a deposit. At the point of purchase they are given a 10% lump sum gifted deposit to top up their savings. Since working to raise awareness of this new model the tenure has received cross-party support, including from the Housing Minister, and Rentplus was mentioned by name during the Housing Bill debates as a valuable product to address the decline in home ownership. 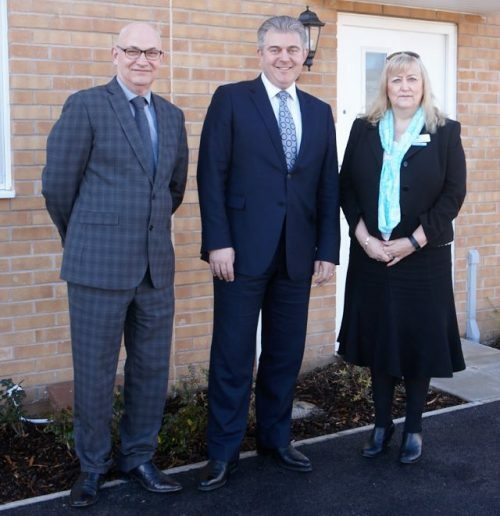 The Housing Minister said in response that the Government would consult on including affordable rent to buy in its definition of affordable housing in the NPPF which would mean that it can be more easily approved by local authorities.